The Pain Relief Clinic specialise in Osteopath medicine for sports injuries, back pain, chronic pain, and anxiety. We do specialised osteopath medicine, which includes cranial osteopathy for babies and pregnancy. We also offer acupuncture treatments including acupuncture for fertility. Our main clinic is located in Dunshaughlin, County Meath, and our monthly clinic is in Dublin City. Our Osteopath Medicine doctor Paul Carolan is a registered Osteopath with the Osteopathic Council of Ireland. He is an expert in all areas of the treatment, including cranial osteopathy, Scalp Acupuncture, and Visceral Manipulation. 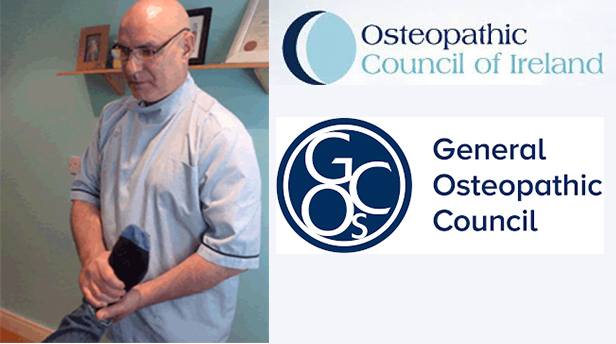 What is Osteopathy and what is is good for? Osteopathy is an alternative, Chinese medicine that has been around for centuries. It is a non-invasive pain free medicine used for clinical diagnosis and manual treatment. Unlike conventional medicine, osteopathic treatment focuses on the body holistically. Instead of just fixing the source pain or problem, osteopathy aims to restore health in the entire body. The treatment works by diagnosing and treating problems with the neuro-musculo-skeletal systems. Our osteopath doctor will look for damaged parts of the body including muscles, joints, nerves, and ligaments. Once he has diagnosed the problem, he will will use targeted techniques to eliminate it. These techniques include tissue massage and stretching, and gentle joint articulation. Paul also practices acupuncture that can help with lots of pain related issues. -Back pain, sciatica, and disc pain. A non-invasive treatment, cranial osteopathy is the same as osteopathy. Though the treatment focuses on the structures inside the head, it treats the entire body as well. Our Cranial Osteopath Paul Carolan works to reactive the body’s ability to heal itself. 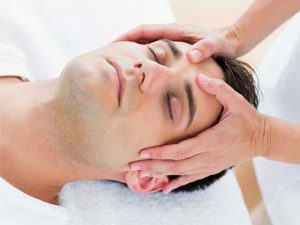 By gently treating the affected areas with subtle hand techniques to bring the body tissues back to a state of balance. The treatment is great for helping babies sleep, pregnancy related problems, headaches, and stress. Paul’s approach is holistic, and he uses Osteopathy, Scalp Acupuncture and Visceral Manipulation to treat patients of all ages; bringing relief to individuals suffering from permanent and debilitating conditions and disorders. Pain is one of the body’s ways to alert us that something is out of kilter; that something needs our attention. Yet, too often we pop a pill to numb the pain, or else simply ignore the call, hoping the pain will go away – in the process we miss the important message that our health and well-being are being compromised. Common causes of acute pain are trauma, toxins, deficiencies and stress, it is important to remove the trigger; to deal with the cause and associated inflammation. Chronic pain on the other hand persists long after the trauma that caused them is removed – the pain just starts and won’t go away. What is Osteopathy and how does it work? According to Traditional Chinese Medicine (TCM) the vital energy known as ‘Qi’ circulates around the body through channels called meridians. When this Qi is blocked or depleted, then illness and imbalance sets in. By inserting fine needles at specifically selected acupuncture points along the meridians, the flow of energy can be corrected and balance restored. What happens during an osteopathy and acupuncture consultation? The aim of TCM is to balance and harmonise the body as a whole. Each client’s treatment is personalised in accordance with the individual diagnosis. Paul will take a detailed medical history that covers lifestyle, stress levels, sleep patterns and such factors as emotional and mental wellbeing. Acupuncture is a completely safe procedure: sterile, disposable needles are used in all treatments and disposed of immediately after use. The effects of acupuncture are far-reaching and the therapy is suitable for everyone, both young and old. Osteopathy treats a wide variety of conditions. These include back pain and neck pain, migraines, pregnancy issues. As well as work strain, arthritis, anxiety, and helping babies sleep. What to expect in an Osteopathy treatment? For the first appointment, our osteopath doctor will do a full analysis on your body and recommend the best-targeted treatment. The process involves questions about your overall general health. And scanning for other issues that the osteopath cannot treat, and how to prepare for osteopathy treatment. Is Cranial Osteopathy Safe For Babies? Cranial osteopath is a very gentle, and safe non-invassive treatment. The message techniques used are very light, making the treatment suitable for babies and children. What to wear during Osteopathy and Acupuncture treatments? Our Osteopath doctor recommends that you wear whatever you feel comfortable, such as sports bras, shorts, and loose clothing. Where is the Pain Relief Clinic for Osteopathy? Our main Pain Relief clinic is located at Dunshaughlin Osteopathy, Navan Rd, Grangend, Dunshaughlin, Co. Meath. Belfield – Belfield is home to the campus of University College Dublin….